If Grandma can do it, so can you! This flirty purple gel nail polish charms em all. A kiss of purple, perfect for manis and pedis. This shade goes from day to night in a snap. 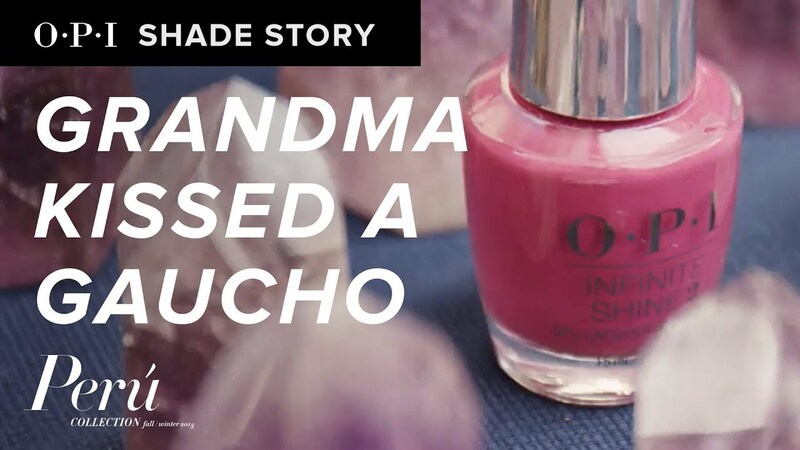 Peru is a place of endless inspiration, which led to our newest shade Grandma Kissed A Gaucho, a celebration of all that the country of Peru has to offer.